What’s Ahead for The Decriminalization of Marijuana? When it comes to the legalization and regulation of marijuana, it is important to keep in mind that there is a difference between federal authority to manage recreational vs. medical marijuana insofar as what authority the Justice Department has to enforce federal laws banning the product (i.e. arresting and prosecuting citizens for drug possession). Specifically, due to an amendment passed by Congress in 2014 (and reapproved in 2015), the Justice Department has no authority to go after medical marijuana in the states that legalized its use. But what does this mean about states that legalized the use of marijuana for recreational purposes? According to the new federal administration, a number of new laws enforcing bans on recreational marijuana are anticipated, as Attorney General Jeff Sessions is a fervent prohibitionist, and has those states that have legalized the use of marijuana (Alaska, California, Colorado, Maine, Massachusetts, Nevada, Oregon, and Washington)—as well as those soon to legalize it—in his sights. These challenges can come in many forms, ranging from federal raids, to property seizures, as well as prosecutions. And unfortunately, they appear to be planned in spite of existing evidence demonstrating that the legalization of marijuana can actually decrease the opioid addiction crisis and associated fatal overdose issues. Unfortunately, this would also reverse much of the progress that has come from legalizing marijuana at the state level, including the decrease in young and disproportionately African-American and Latino criminal defendants, saddled with a criminal record simply for possessing marijuana. 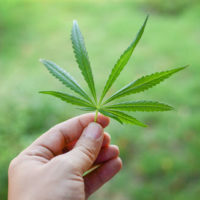 In 2015, Congress unfortunately failed to approve the McClintock-Polis marijuana amendment, which would have prohibited the Justice Department from going after states for legalizing the recreational use of marijuana (i.e. doing what the Rohrabacher-Farr amendment already does for medical marijuana). New York state regulates the use of medical marijuana: the law establishes a process for practitioners who have completed specific educational courses (approved by the Commissioner, under law) to register and issue certification to patients with certain severe debilitating or life-threatening conditions or complications that are likely to receive therapeutic or palliative benefits from the treatment of medical marijuana so that they can receive approved medical marijuana products. Similarly, New Jersey is committed to the effective implementation of the New Jersey Compassionate Use Medical Marijuana Act, which protects patients who use marijuana to alleviate suffering from debilitating medical conditions—as well as their doctors and other health caregivers authorized to produce marijuana for medical purposes—from arrest, prosecution, property forfeiture, criminal penalties, and other punishments. Regardless of the drug involved, if you have been charged with criminal possession of a banned substance—such as marijuana—you need to speak with an experienced criminal defense attorney right away. Your attorney will know the ins and outs of state law and what is required in terms of proof, knowledge, and intent. With this knowledge lies the defense that could make the difference in terms of jail time and your future. For a free legal consultation, contact criminal defense attorney Phillip J. Murphy today. We serve clients throughout New York and New Jersey.